I was a Bumble & Bumble fan for a long time but this shampoo beats them all! Great shampoo, cleanses without drying. Do not let the price sway you from not buying this product. 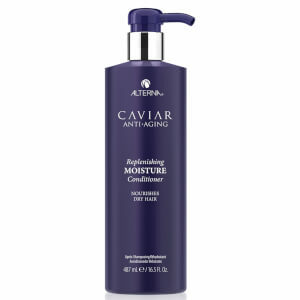 This moisture shampoo is unbelievable does not strip your hair color at all. It doesn't use any harsh chemicals. I also use the moisture conditioner. When you try it, you won't be able to live without it! Best shampoo I have ever used. You will feel a difference in your hair after the first use. My hair is shiny and less brittle. 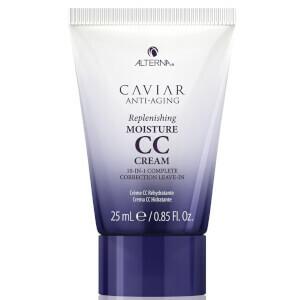 Combine with the conditioner and I guarantee you will see tremendous improvement if you have dry, mature hair. Cleanses without drying hair out. Use with conditioner for best result. Best shampoo! I have thin hair that breaks easily. This product has strengthened my hair. I can't live without it. A little goes a long way. Does not weight my hair down. This shampoo has become my favorite after trying it six months ago. It does softens the hair and makes them feel alive, not as dry. I like the fragrance of this shampoo also. It is very subtle. 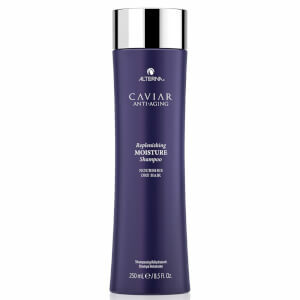 I tried to use other shampoo for my hair but noticing myself returning to Alterna Caviar again and again . I moved to a home with very hard water and I'm not able to install a water softener. This shampoo (along with the conditioner) has saved my hair! It's so lustrous now! I get compliments all of the time. Love! I've been using this product for several years now, love the new size.